Just because my hair was looking particularly cute today and I don’t have a dang thing to do this cold January night, I’ve decided to post some pictures of my ‘do. You’ve seen this one before — I just added some hair jewellery. The same jewellery that I wore on Tuesday when I was trying to disguise my updo that was totally falling apart. Stay warm, folks! It’s extra cold outside. You look like a teenager, all of 16 in the last pic. I’m too shame to take pictures when I look like a hot mess. One day I will — when I’m more secure. 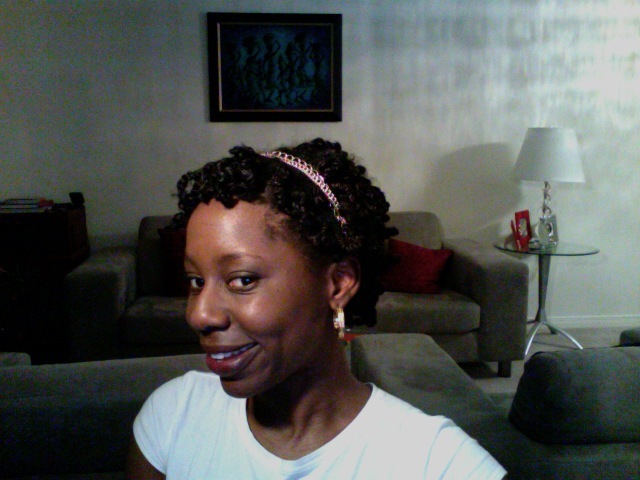 I got my hair jewellery at Etcetera and it was cheap! I think I got five for $5 or something like that. These are two strand twists that I chinee bumped. When I take out the bumps, this is what I’m left with. 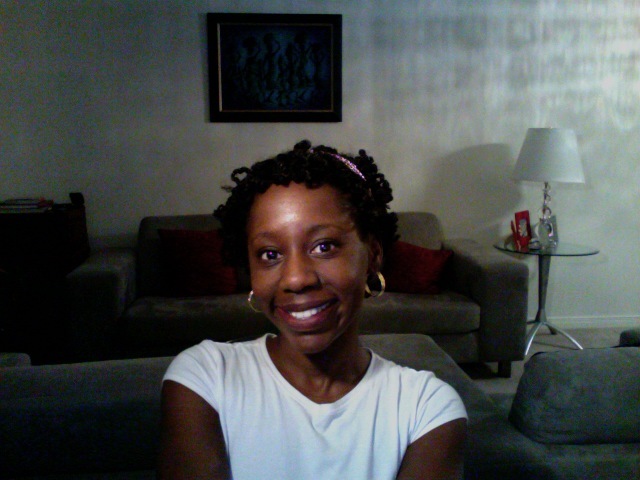 I find the two strand twists — without doing something to the — don’t look as cute. 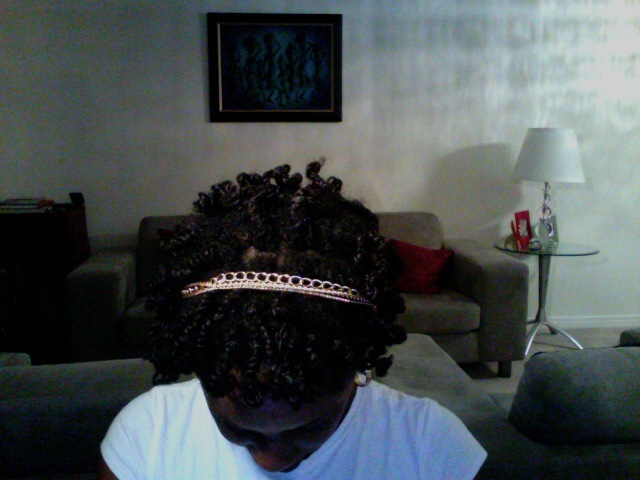 Tomorrow, if I get out of bed early enough, I’ll untwist and rock a twist out… but we’ll see about that. I rarely get up early enough to do anything serious with my hair. I have no idea what or where Etcetera is but I’ll talk to you about that when I’m in need of one. I don’t blame you for not putting up pics when your hair is a “hot mess”…I wouldn’t either. Some things must remain behind close doors. Hope the twist out are looking as fly as the pics above. Thanks for being a style dictionary. Etcetera is an accessory store in Eaton Centre. Super cute, super cheap accessories. If you have a chance to get down there, check it out. Alas, I was too lazy this morning to do the twist out 😉 I had to rock the curly twists again today. LOL @ style dictionary! Just trying — and having some fun! Awww, aren’t you the cutest!!! This ‘do does right by you Sis. I love it. I might just have to snag it…. 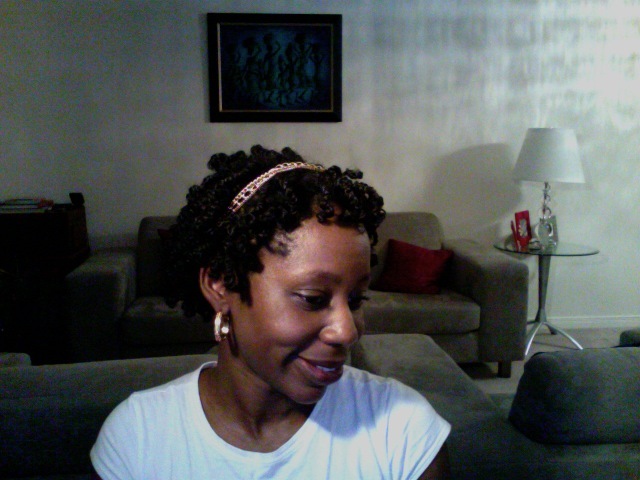 ;) The headband gives it an extra vintage twist…..Perfect! How do you do the corkscrews? I love that style. Thanks. Thank you. I will try this, not good at different hairstyles, but will give it the old college try. The hardest thing is to try… just try on a day where you’re not going anywhere or you’re going somewhere where they don’t mind hats 😉 Let me know how it turns out.